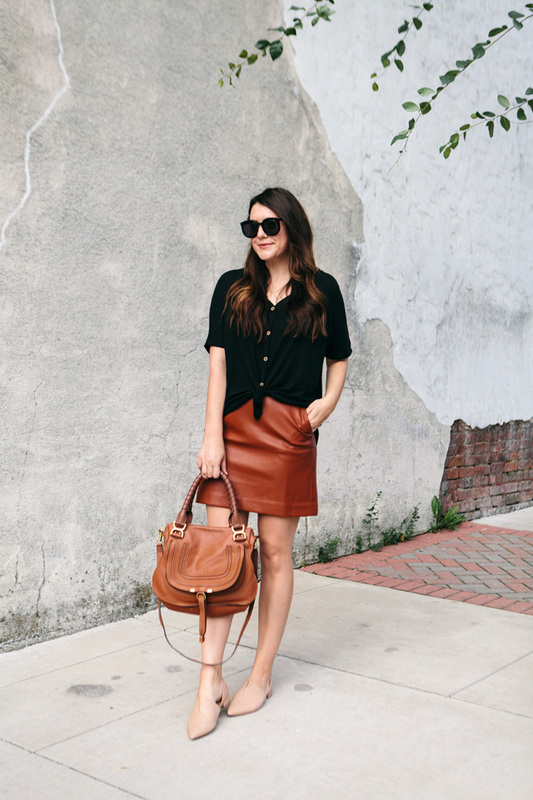 One of my favorite styles for fall is a cognac leather look. 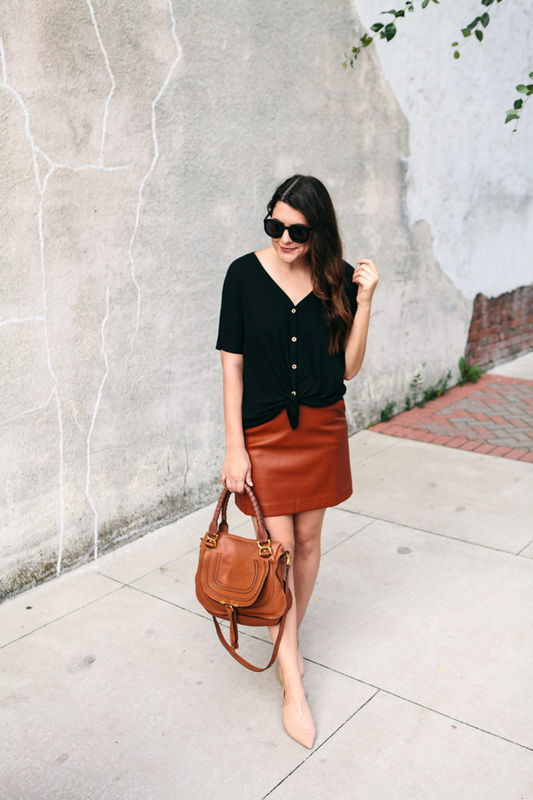 May that be with booties or a purse or in this case, this faux leather skirt. It’s actually really hard to find a faux leather option that a) fits well and b) doesn’t scream faux. I certainly don’t mind faux leather pieces, but I never want it to look fake. I know that’s a weird thing to say about a faux leather skirt because it’s actually fake leather. I think this is a direct reaction from my teenage years when pleather was a thing. A big thing. And I dove 100% into that trend. Mind you, that they did not line faux leather back then and in Texas when you mix homecoming in October with pleather snakeskin pants, it’s a sweaty mess. 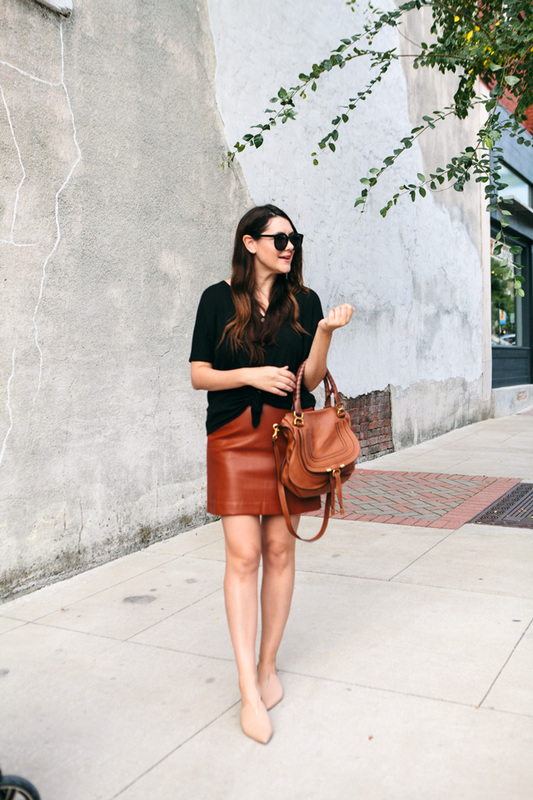 I’ve been burned by faux leather before and while faux leather (or vegan leather as some people call it) has come a long way since 2002, I am still very picky when it comes to this trend. So when I saw this skirt on Loft, I thought it’s either going to be really good or really bad in person. Turns out, it’s really, really good. And the fit is spot on. 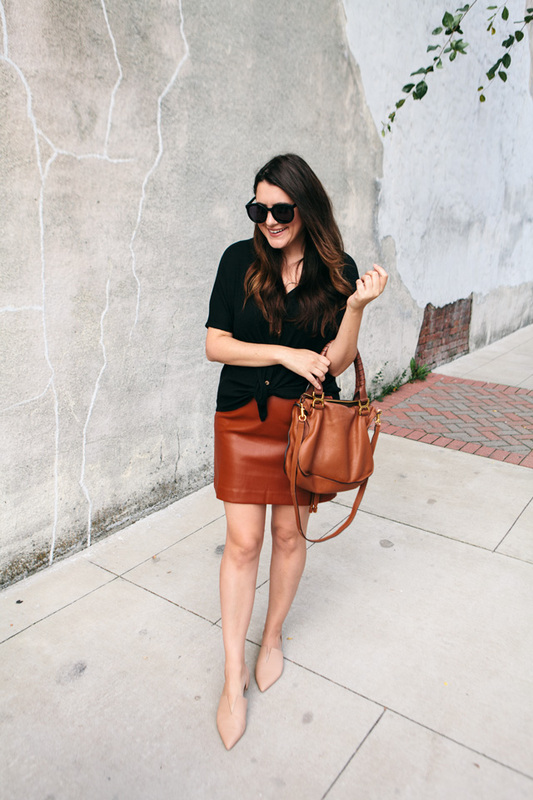 You can find this faux leather skirt here! I can’t wait to just pair this skirt with simple tops as well during the fall. That’s what I love about this color, it’s so easy to pair with classic pieces. I’ve been really into skirts lately, I’ve noticed. I have my eye out for a good denim skirt, as well. Just to mix up my denim lineup that I tend to be drawn to always. PS: If you were looking for the Striped Bell Sleeve top that we’ve sold out of twice now, it’s back in stock! This will be our last re-stock so get it while you can! The top is a relaxed fit, so size down if you want a closer fit. I’m in the medium! Which is my true to size. The skirt fits true to size, as well. I’m in the size 8. That skirt is SO dang cute on you! I love that for fall. 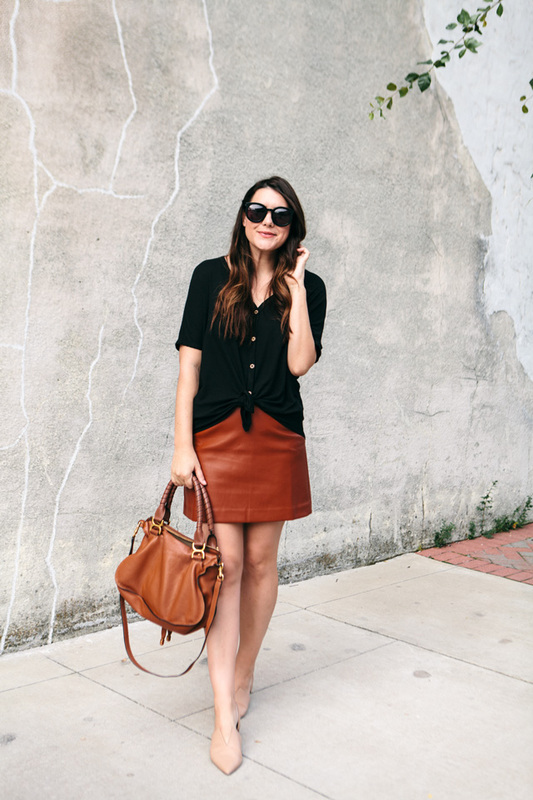 That faux leather skirt is GORGEOUS!! So obsessing right now!